As like many ideas the walk up Kilimanjaro started as a conversation between friends who “fancied” doing a challenge. This challenge quickly moved into becoming a reality. We were contacted by a family member of Curtis Allen about the challenge and that they would like to raise funds for the Eve Merton Dreams Trust after the help and support for Curtis. The route that the team decided to take only had a success rate of 44%. The Meranger route is a direct route to the top and takes 5 nights, sleeping in huts along the way. 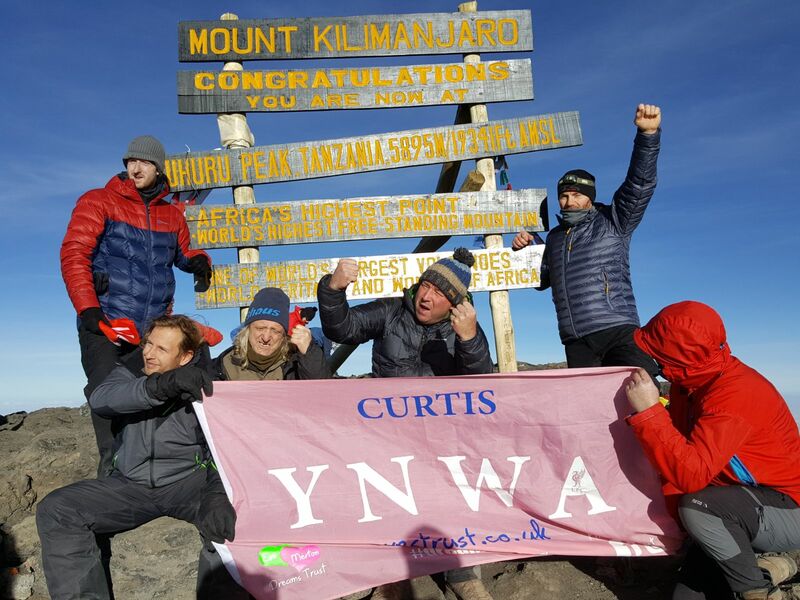 All the team struggles with the altitude but all made it to the summit, although a few had to be rushed back down due to the effects from the altitude. The guys didn’t think this would happen after a brief conversation from a extreme marathon runner who had run the artic marathon was explaining it was the hardest thing he had ever done. But the guys soldiered on and made it to the top raising a massive £2000.13. This will help us create more dreams for families in Doncaster battling cancer. Huge thanks to all involved, John McCormack, Colin Smith, Mick Shaw, Shaun Davies, John Bramley, John Rotherham & Kev roberts #dreammakers?? If you would like to raise funds for the trust please PM us on here or email us Info@evestrust.co.uk.? ?